This is a limited lithographic photographic print originally sold in the Disney Gallery at Disneyland in the late 1980s - early 1990s. 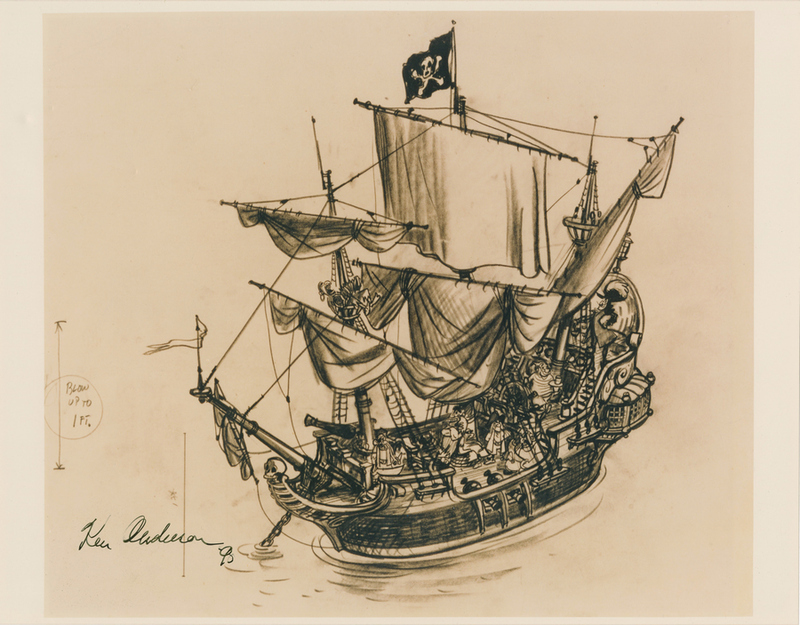 During this time, the Gallery created prints of concept artwork created by Disney Imagineers during the development of the park. 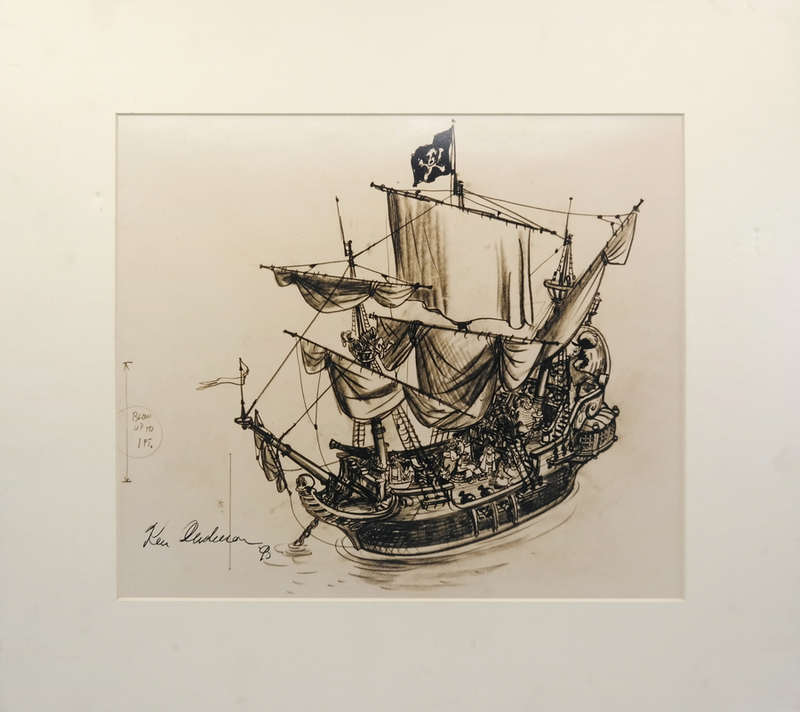 This particular print is of Ken Anderson's concept art for a ship in the Pirates of the Caribbean attraction, and was signed by the artist. The overall measurements of the piece are 11" x 14", with the image area measuring 10.5" x 12.25". The print is in very good condition with three dimples on the surface, and some light scratches in the left corner.